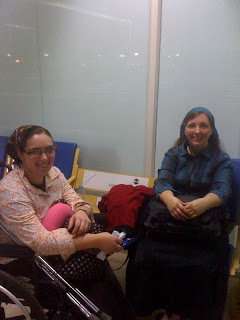 Odie & Kelly Jo at the airport in Lagos, Nigeria. Thursday the 10th. I have no idea when I will be able to post it. catch our connecting flight and be in Dayton, Ohio around 9. Thank you very much for praying for us on this short trip. Bro. the meetings and I praise God for that. the safest place I know.